Everyone has to file taxes, so while every individual situation is different, there are some general guidelines that can help you decide whether to DIY or outsource the task this time around. When it comes to filing our tax returns, we usually go one of two routes: file them ourselves or hire a tax professional to do it for us. Tax preparation software has made it easier to do it ourselves, but if your financial circumstances changed last year, it may be in your best interest to work with an accountant. Everyone has to file taxes, so while individual situations may differ, there are some general guidelines that can help you decide whether to DIY or outsource the task this time around. Keep reading to figure out which option is best for you. At the start of filing season, it’s a good idea to ask yourself whether it’s worth hiring a tax preparer. In contrast to filing your return yourself, working with a tax professional, such as a certified public accountant (CPA) or enrolled agent, will cost more depending on your location and the complexity of your finances. For instance, a recent survey by the National Society of Accountants tells us that a CPA charges an average of $176 for a simple tax return. If you have disorganized or incomplete paperwork, or you need to expedite your return or request a file extension, you may be charged additional fees. Of course, there are still benefits to working with a tax expert, particularly if your time is more valuable than the cost of a professional. If you want to save money, you can always file your own taxes. However, this is still a daunting task for some. Luckily, the advent of tax preparation software has made doing your own taxes considerably easier than it once was. 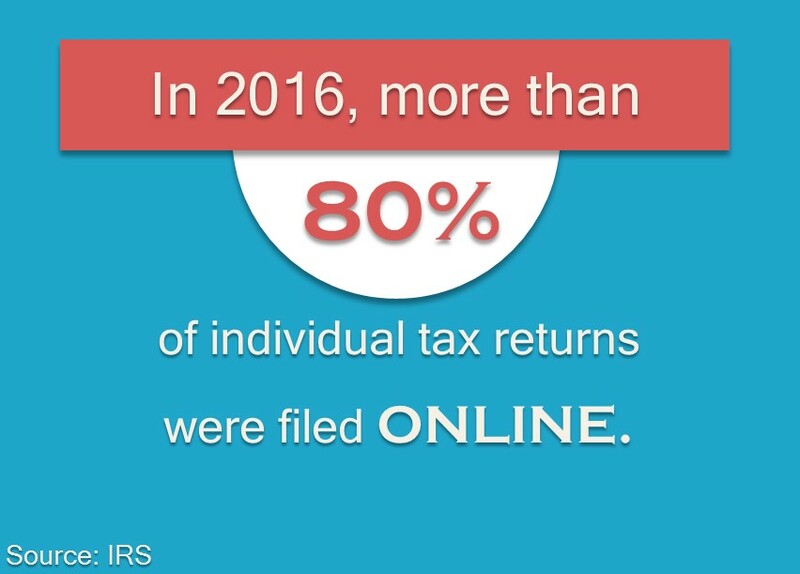 In fact, it’s now much more common to prepare taxes online than to do it manually. Some of the more popular services, such as TurboTax, H&R Block, and TaxAct, have free versions for simple tax returns. Upgraded products for homeowners, landlords, investors, or freelancers generally cost $30-$100, which is still considerably less than paying a tax preparer or accountant. You have a straightforward financial situation that remained unchanged last year. If you only have one job and don’t have dependents, significant assets, or investments, then filing your own taxes should be relatively simple. A tax professional will rarely find you a better return than your tax software of choice. Pro Tip: Different tax prep software may yield different returns, so try a couple of free returns before submitting to see if you get the same quote from all of them. You feel comfortable doing it. Are you organized? Are you comfortable using the tax software? Are you aware of the deductions you’re eligible for? Are you willing to figure out the nuances of the Tax Code and do you know where to look for the information you need? If you answered yes to these questions, you are ready to file yourself. You have the time to do it. From record keeping to form completion, the IRS estimates that it takes 13 hours for the average person to file their taxes. If you have the time (and patience) to do it yourself, including identifying and claiming all of the deductions for which you’re eligible, take it as an opportunity to learn more about finance. You had a major life change. If you bought a house, got married or divorced, had a baby, or acquired investment or retirement accounts, it may be a good idea to hire a professional, particularly if it’s the first time your tax return will be impacted by the change. You earn over $200,000. There are a few reasons why you should hire a tax preparer if you earn more, one being the higher probability that you will be audited. For instance, filers who earned less than $200,000 in the 2015 tax year had a 0.78% chance of being audited, while those who made more than that had a 2.61% chance of being audited. You have multiple streams of income. To lower your chance of being audited, it’s important to properly report all of your taxable income and have the proper documentation for your deductions. The IRS will match your return with their own reports, and your name could be flagged if those numbers don’t match. Hiring a tax professional will help prevent you from overlooking any taxable income. You started or own a business. If you have a sole proprietorship, filing your taxes may not be too complicated, but the same may not be true for an S corporation or LLC. A CPA or other tax professional can help business owners to separate their business and personal expenses, in addition to finding deductions and preventing you from overpaying. Your freelance business is booming. First off, it’s definitely possible to do your own taxes as a freelancer or consultant. But as your business grows, it may become more difficult to keep track of your various streams of income. The more clients you have or the more tax deductions you make, the more appealing it may become to hire a tax preparer. Preparing your own taxes isn’t necessarily complicated if you have a straightforward financial situation, but for some people, it pays to hire a tax preparer—literally. The more complicated your finances, the more advantageous it is to work with a professional. Your financial situation may change from year to year, so it’s important to revisit your options every filing season. Do you file your own taxes? Why or why not?